So amazing photos! I wonder what camera do you use? I love your shoes, no, stop, I am crazy about them! the sweater is nice! good combinations! Have a great day and thanks for your lovely comments! I'm already following you! :) Hope you'll follow back. Great outfit. These pictures are amazing. i am already following you some time ago and i like yout blog a lot! Thanks for the add, lovey! I'm your newest follower! Love the two-tone shoes...I've been eyeing them at Zara for weeks now! those shoes are amazing and I just love the last photo were you look like you are running on air!! Tks for the comment and follow fashionista! I love your blog, and love the way you combine dark blue with beige/brown! It's one of my fav comb. Congratulations on sharp peak shoes, they are making come back so its great you are promoting new trend! Me encantaron las fotos, muy lindas! oh beautiful one, classically elegant! Hello my dear!! What a lovely surprise when I read your comment!!! Of course I am following right now, you have an amazing style, love these shoes and bag, al ALL the outfit.Today I thought of having my hair like yours and then i saw you: great style!!!! you looked sophisticated, stylish and comfortable. i really like your blog! Me encanta tu blog, tienes unas fotos fantasticas!! This screams Fall! Love it! Me encató ese outfit navy blue!! con el bolso Bimba Y Lola... linda como siempre mi juli! 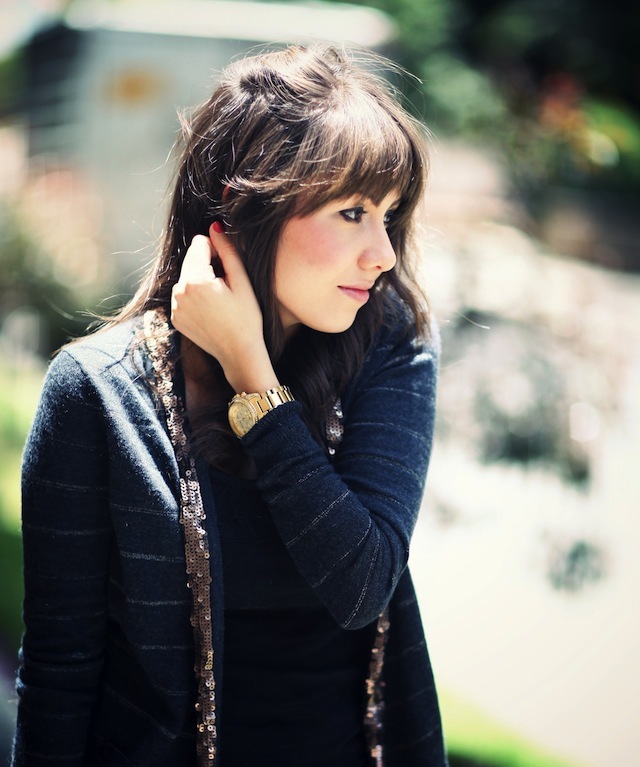 Te sigo en Bloglovin y en Fashiolista! ive been eyeballing those shoes for days! love how you styled them! I'm so glad you stopped by my blog so I could find yours. hi! thank you for the lovely comment! sure we can follow each other! thanks for the comment dear.of course we can follow each other.i already do now :) follow back and we'll keep in touch! Que fotos mas bonitas, me encantan! los zapatos son una pasada..
Que guapa!!! Me encanta el look! Great colors! Nice way to downplay the professionalism going on. want those Zara Heels badly! Adoro leer tu post. Me transporte alli! the first picture is amazing. your blog, i have no words. continue like this. Hola Juli! que lindo outfit, me he enamorado de tus zapatos y tu bolso, concuerdo con las demás tus fotos son hermosas! Julii!! sales especialmente bella en estas fotos! que zapatos!!!! Muchas gracias por todos sus comentarios! gracias por pasarte! te sigo, podrias seguirme tu tambien? me gusta mucho este ourfit! espero verte por mi blog, mua! amazing jacket! love the sequins detail!! nice photos! I love the blurry background! your outfit really pops out! Qué zapatos más divinos!!! Me encanta el outfit! La falda del post anterior no me puede gustar más!!! Muchas gracias por pasarte por mi blog y comentar! 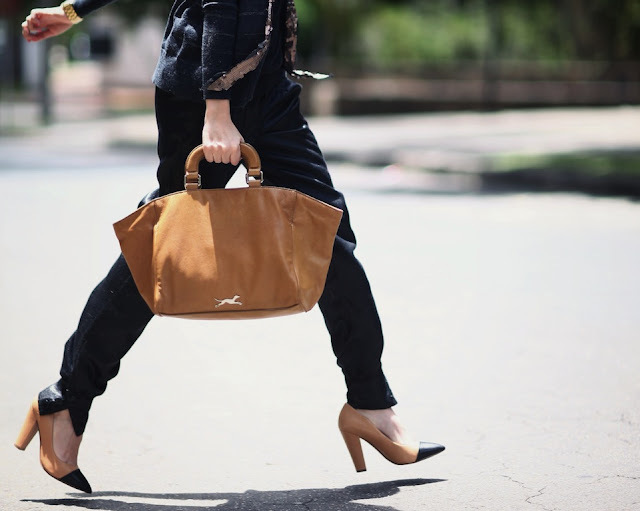 your shoes, your bag and well your whole outfit...its so amazing! Hi Juli we love your blog! I love black! So this look's amazing! Me encanta el sueter!!! y el pelo asi te queda de maravilla, estas preciosa! Por cierto, es impresionante este conjunto, es de lo más elegante. great blog, i am now a new follower! WOow there is a lot of uncluttered refinement in your "Urban CHIC(icious)" outfit, by far more freshy than arrogant I must add Dear ("uber approving look") ! hey sweet!! gracias por tu ultimo comentario, me ha gustado mucho! love ze bag ang sweater! Great outfit. Love your haircut! Hello I love your look, Is so cute. so cute!!! Fall in love with your look! i just discovered your blog and i love it ! Me gustó mucho la combinación... Y AMO ese bolso, me encanta!!! Thanks commenting on my blog. los looks totalmente oscuros son mis favoritos, y combinados con esos tacones queda espectacular!! Love the outfit, your sweater is super cute! You look gorgeous. Loved the makeup! Aquí me tienes de nuevo! ;) Yo también te sigo!!! Me gustan mucho tus looks!!! Muchos bicos. Hola preciosa! Claro que quiero que nos sigamos, me encanta tu blog y tu estilazo!! Hola! lo primero encantada de conocerte, es el primer día que aterrizo en tu blog. Y lo segundo que me encanta el rollito Chanel de tu outfit, preciosa la chaqueta y los zapatos ( que me enamoré desde que los vi en la tienda). Acabo de descubrirte y me encanta tu blog, tus estilismos son geniales. espero que te gusten y si es asi estare encantada de que te quedes conmigo. love your harem pants - very pretty !! Hola guapísima, me ha encantado tu blog, ya te sigo. Gracias por pasarte por el mío. Que tengas un muy feliz día. Me ha encantado el suéter, es muy elegante! La foto donde vas caminando es perfecta, besos! Un blog muy interesante; te sigo!! Me encanta tu blog y tu estilo! Las fotos son xulísimas. Gracias por seguirme también! Thank you so much for your sweet comment! I adore your blog! You have the most beautiful hair, and those shoes are to die for. love this look, its tres chic! Hola Nena! no conocía tu blog! es muy lindo!! thx for your lovely comment, beauty!! Hola guapa, encantada de seguirte!!! Tev espero por mi blog! de donde es el sweater? no lo has puesto! me encanta! es d esta temporada?? Gracias! Me gusta utilizar la ropa por mucho tiempo! Ten en cuenta que podrias hacerlo tu misma, es solo una tira de lentejuelas..
Me encanta este look y el bolso es fantástico!!!! deff like this look! and shoes are amazing! Never thought these shoes could look this chic!